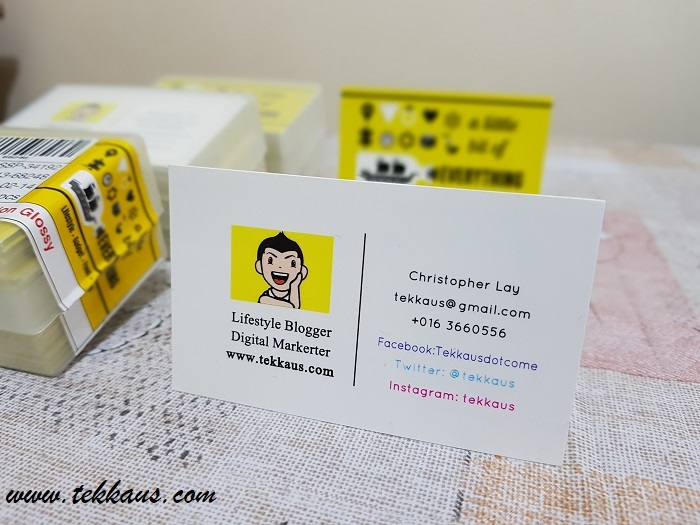 After blogging for almost 12 years, it beats me that I still did not have my very own business card for my very own brand *a~hem*-Tekkaus.com. Sometimes I felt really embarrassed when people asked me to furnish them with my very own card and all I could do was to look at them and smiled. After that I would hastily try to grab any pencil or paper to write down my blog URL and other necessary contacts. 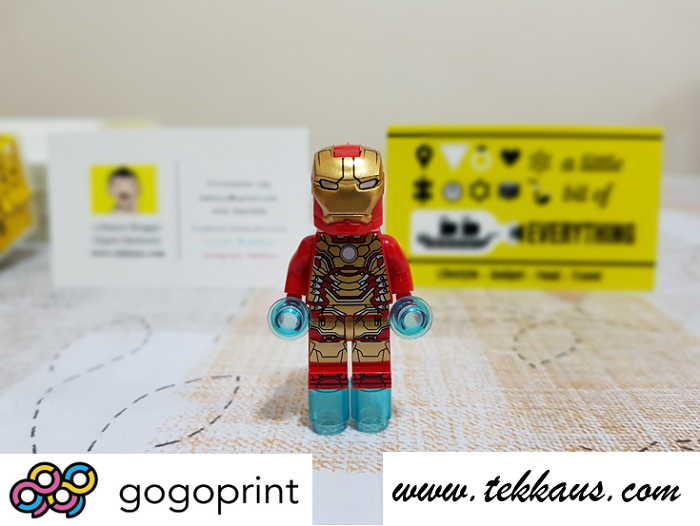 All this while, I thought that creating my very own business card was going to be difficult and expensive until I stumble upon Gogoprint! My savior-seriously! 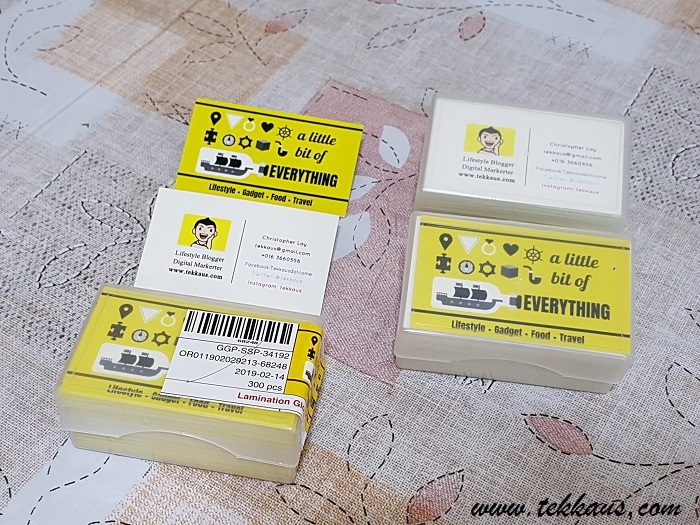 Initially I was skeptical about printing my business cards online as I was unsure whether the results would be good or not. That was why I turned to traditional localized business card printer to help me out. Unfortunately I had a few setbacks while requesting for quotation at my local stores. Most of them told me that I needed to design my card on my own without any help whatsoever which was a bummer. Then I chanced upon this gem on the Internet thanks to Mr. Google. 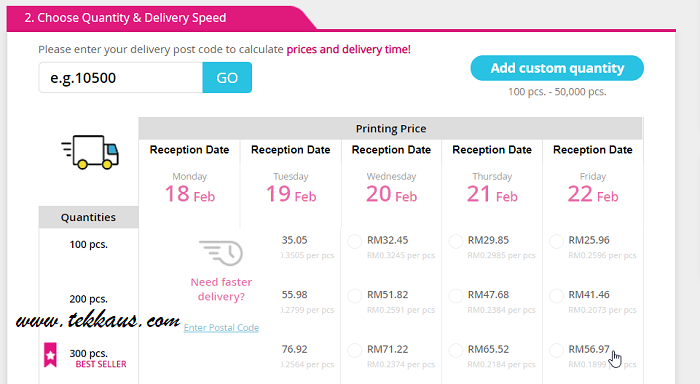 After searching high and low literally for high quality business card which is cheap, I finally stumbled upon Gogoprint. 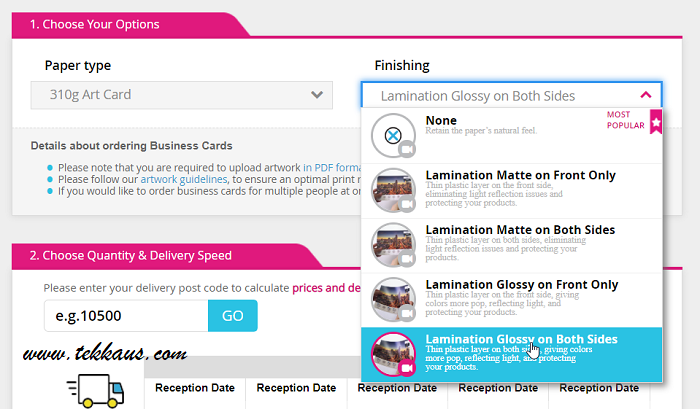 Now you can design and print your own business card online easily and it is cheap! 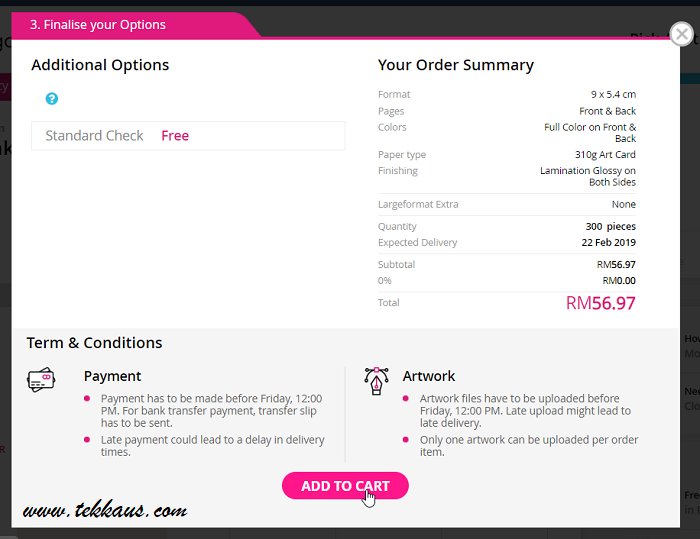 I actually asked from a few local freelance graphic designers the cost to design my business card and I was shocked to learn that they are charging somewhere between RM150 to RM250 for a complete front-and-back design. That is why I said Gogoprint is my saviour. 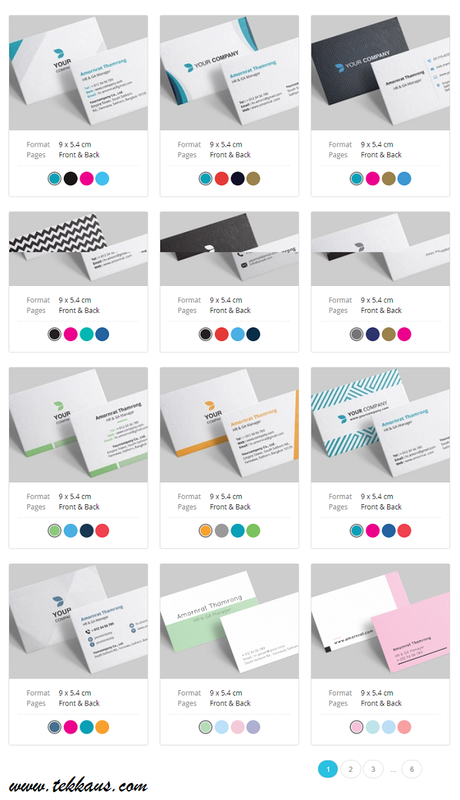 I was really impressed with the integrated business card designer on their website. 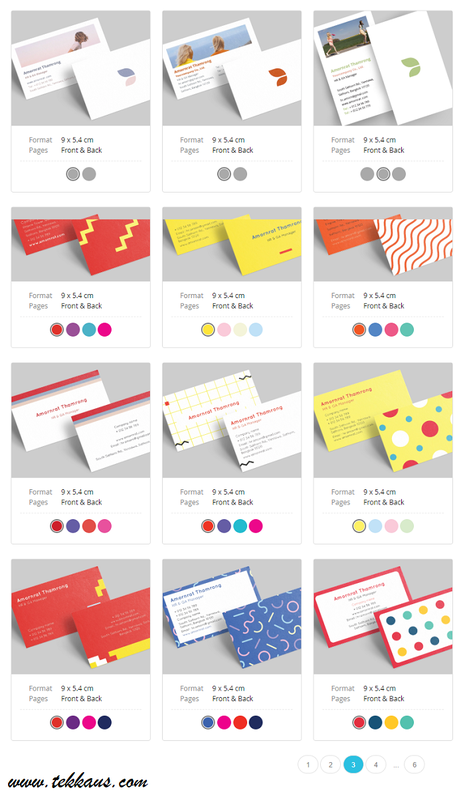 Altogether there are 63 different FREE templates with various designs and colours for you to choose from. Yes~it is free of charge to use the online designer instead of hiring expensive graphic designer. There are 63 different templates for you to choose from. 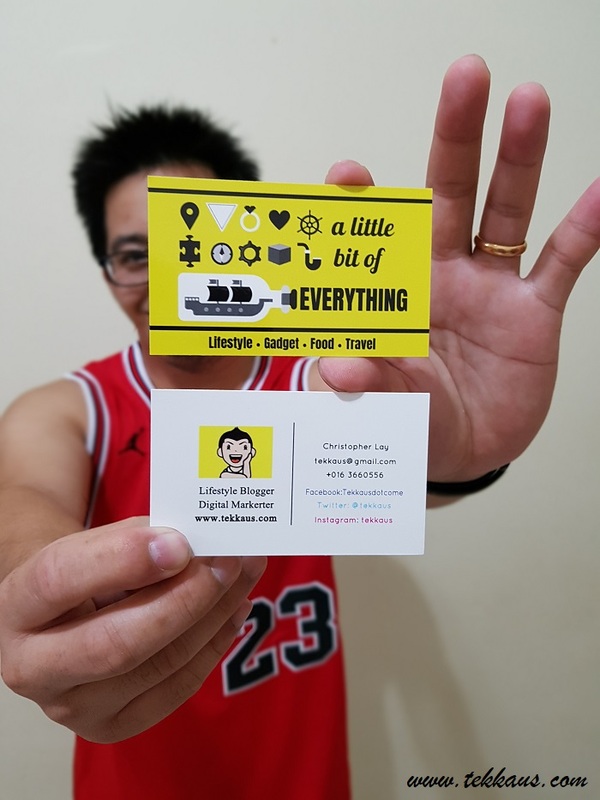 After browsing for some time, I zeroed down on that template design which I love and started to edit and customize my very first business card. 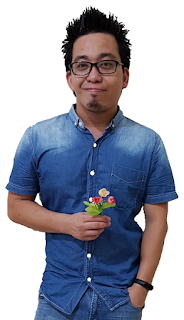 I just needed to upload the cover that I have grabbed from my Facebook fan page and my blog icon; I typed in my details such as phone number, my blog URL, social media connections and voila! 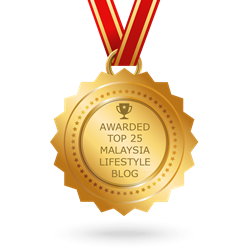 My very first business card for my blog is done in less than 10 minutes online. How I wish I knew about this online printing company sooner. After you have selected your template, you just need to customize it. Uploaded my blog icon and typed in other details! Ta~da! I am done. Here is the preview. Then I selected the paper and the type of finishing that I want for my business card. Select the number of copies that you want. The more the better of course. Payment can be done easily too after you have specified the amount that you want, the type of paper to be used and of course the finishing that you desire for your business card. I have personally chosen the lamination glossy on both sides for my business cards as I want my cards to feel more premium and high class. Ha :D All in all I only paid RM57.00 for 300 pieces of glossy laminated business cards. 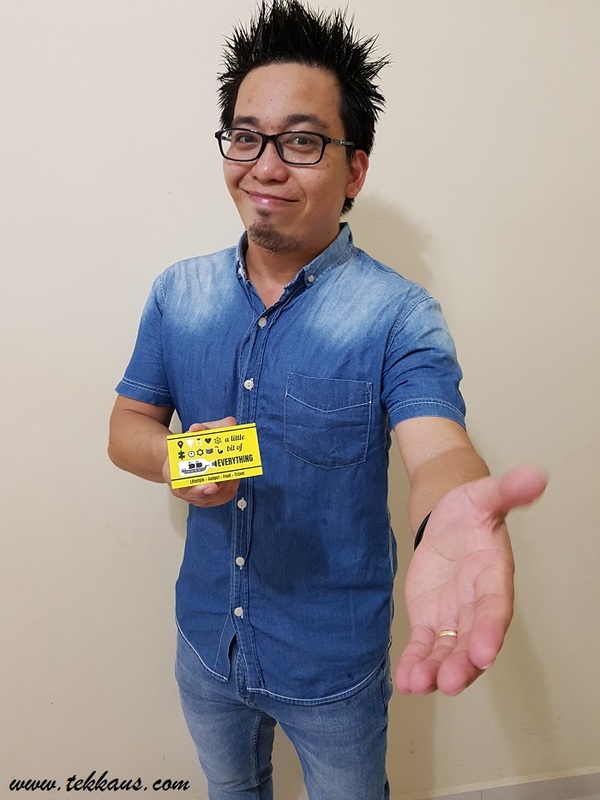 Delivery of my business cards was really fast as it took around 2 to 3 days only for them to arrive at my doorstep though it was stated that it would arrive later. So another thumbs up for the company. I was really dumbstruck when I unwrapped my business cards for the very first time! In fact I was so touched at the sight of my classy-looking business cards that I almost cried. I could not hold back the tears of joy to see them being so beautifully printed. When I touched my cards, the glossy lamination on them really exudes that premium feel which certainly made my business cards stand out. *I am so proud* The colours are so vividly vibrant and attractive. OMG! Thank you Gogoprint for making this possible! I am so going to recommend this printing company to anyone who wants to print their business cards. Kudos!